What Type of Experience Do I Need to Own a Successful Restaurant? Out of all our successful franchisees, there seems to be two types of owners. Those who have been with their brand for years – having worked their way from the bottom up, and saved enough money to branch out on their own. Then there are those who purchase a franchise as a second career. After retirement – or simply later in life – they decided to take on a new challenge. Whether it was something they’d always wanted to do, or because it was a way to utilize skills from their former career. In either scenario, these franchisees have been able to become successful in their ventures, and turn their branch into profitable positions. One thing both categories have in common, however, is starting at the beginning. Even those who have worked in the restaurant industry for years have to learn the basics (and intricacies) of business ownership. While those who have owned a business and start with restaurants later have to prep themselves in the food industry. But coming from either end, what skills are needed? This often comes with life experience, or having been in any type of job for a long period of time. With experience – in any industry – folks learn that things don’t always go as planned. As well as how to stay calm and adjust as things change. Not placing too much stock in any one event is a great business ownership skill and should not be taken lightly. Are you good at filing? Do you know how to take proper notes and how to stash receipts away for taxes? What about planning (and sticking to) a budget? These might not be your favorite aspects, but understanding the basics – or at the very least, the importance – of proper business management can help set your branch apart. Often a trait found with age, learning how to lead others can help your business succeed. It allows you to manage employees, plan for busy or slow stretches, and keep everything running smoothly. This is generally found in retired workers who have advanced in their respective careers, but can also be learned the hard way by young workers – by having one or more “bad” bosses. Some, however, possess this talent naturally and are able to lead with minimal training. Business ownership is often about putting the business first. Not yourself, and not the needs of any specific individual, at least consistently. Be sure and spread out perks and work in a way that benefits everyone, not just yourself or your pocketbook. There’s something to be said about a boss who’s able to get their hands dirty. Being able (and willing) to work hard in even the worst circumstances can help turn a good boss into a great one. Working overtime doesn’t have to be a norm, but understanding that it’s a possibility can help advance your business into something that’s even more efficient. No matter your skillset, however, it’s likely they can be translated into franchise ownership. Because restaurants are fast-paced and involve so many aspects, those of all backgrounds have been able to take on this type of career. 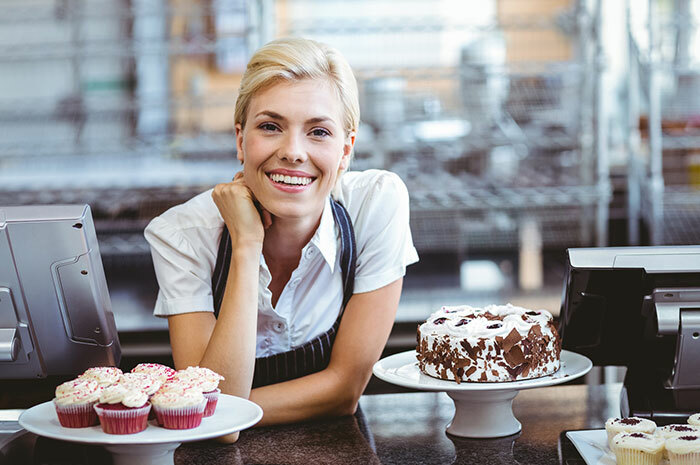 By staying aware and willing to adapt at all times, those of any background are able to transition into a successful food franchisee.